Ahh degree show season… It’s a time of year that’s as set in stone as Christmas, New Year and International Pillow Fight day (April 2nd, obviously…). 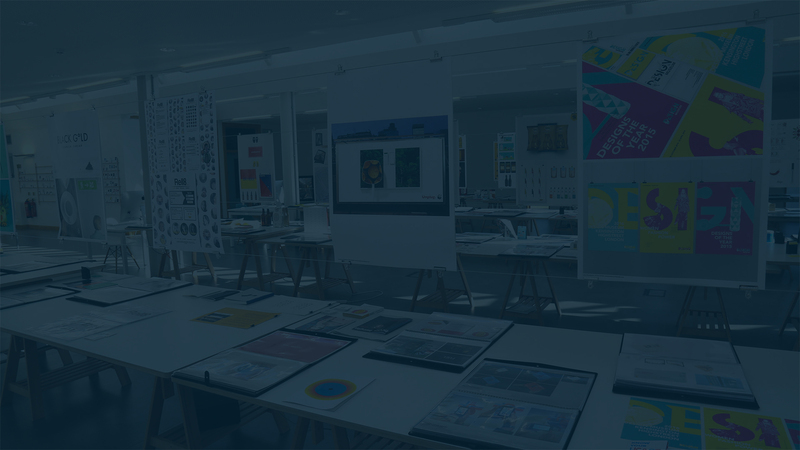 Around this time of year, students studying design are spending their days stressing about what they’re going to be exhibiting, wondering if it will be good enough and worrying if anyone will turn up to see it – all with the ultimate goal of gaining employment in the various creative industries. Over the last couple of years, we’ve found ourselves getting increasingly involved with colleges and universities: giving talks, holding portfolio surgeries and setting live briefs for students to work on. We’ll make no bones about it, helping students and graduates is in our inter­est. Whether it’s helping us fill junior positions in the future or simply encouraging them to make riskier work to keep us all on our toes, getting involved at an early stage is a no brainer.